Born on January 15, 1850 in Saint Petersburg from a noble family, Sofia was home schooled by tutors hired by her father with the aim of circumventing the obstacles to women studying mathematics. These difficulties led Sofia to marry a young paleontologist (Vladimir Kovalevski) when she was 18 so that she could go to university. For 15 years, this arranged marriage (her eldest sister, Anna, did the same) was the cause of much sadness and tension until Vladimir committed suicide. However, it was the only way she was able to become independent and complete her university studies. Sofia moved to Heidelberg first in 1869. When she finished her studies there in 1871, she then moved to Berlin. In both cities her amazing talent generated admiration among her professors. In Berlin she began her doctoral thesis with Karl Weierstrass. However, she was not allowed to attend classes and Weierstrass himself gave her private classes. 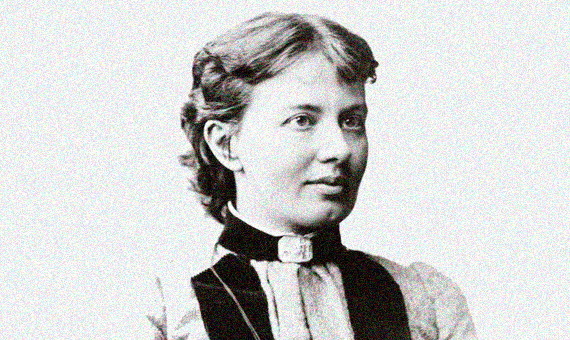 In 1874 Kovalevskaya defended her doctoral thesis at Göttingen University but was still unable to obtain an academic position. She returned to Russia and was only offered a job as a secondary school teacher, which she bitterly and ironically rejected by stating that she “was weak in the multiplication table.” She survived by writing theater reviews and science articles for a Saint Petersburg’s newspaper since Vladimir was unable to obtain an academic position at that time. In 1878 she had a daughter and two years later she returned to mathematics. In the spring of 1883, her husband Vladimir committee suicide. The Swedish mathematician Gösta Mittag-Leffler, whom Sofia knew from her time with Weierstrass, offered her a position in Stockholm. In 1884 she became the first woman appointed to a full professorship in science in Northern Europe. A short time later, she was appointed to an academic position by Russia’s Imperial Academy of Sciences but was still unable to teach in Russia. In 1891, at the peak of her international prestige, she died of flu. Sofia was always engaged with and concerned about the issues of her time. Not long after beginning her studies in Heidelberg, she traveled to London with her husband and met Charles Darwin and Thomas Huxley, colleagues of Vladimir. She also met George Eliot and Herbert Spencer with whom, at 19, she held a debate about a woman’s capacity for abstract thought. In Middlemarch, George Eliot mentions how the revolutions of an irregular solid are complicated. This is the topic of Sofia’s work, the Kovalevskaya top. Sofia explored a new type of symmetry and resolves a problem presented by Leonhard Euler about the rotation of a solid body around a fixed point. A supporter of utopic socialism, she traveled to Paris in 1871 and was part of the Commune. In Stockholm, she became friends with Mittag-Leffler’s sister, the writer and actress Anne Charlotte Edgren-Leffler. There were even rumors of a romantic relationship. In addition to her work on the rotation of rigid bodies (Bordin Award in 1886), Sofia focused her efforts on partial differential equations and demonstrated the Cauchy-Kovalevskaya Theorem. Sofia Kovalevskaya also wrote a novel, Nihilist Girl, with a major autobiographical facet. In short, she was a great mathematician and played a major role in women eventually being allowed to complete university degrees.